I pondered this question when asked to speak at the recent GlenX Success Summit in Glenwood Springs, Colorado. 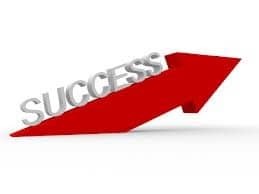 My task was to define the X Factor that, combined with IQ (intelligence quotient) and EQ (emotional intelligence), would lead to success, happiness, fulfillment, and achieving one’s best self. A tall order. IQ is traditionally one’s inherent intelligence level, but Gregg and I went further in Triple Crown Leadership, citing the “head” qualities that we discovered in our research, including interviews with leaders in 61 organizations in 11 countries. The “head” qualities are raw intelligence, knowledge, skills, and competence. But this combination of IQ and deliberate practice is not enough. One needs emotional intelligence (EQ) too: self-awareness, self-management, social awareness, and relationship management. • Self-awareness involves awareness of one’s emotions, one’s accuracy in self-assessment, and one’s self-confidence. • Self-management involves self-control, transparency or openness, adaptability, achievement drive, and initiative. • Social awareness involves empathy, a critical skill for success, and organizational awareness. • Relationship management involves leadership skills, influence, conflict management, bonding and collaboration ability, and teamwork orientation. Geoff Colvin in his wonderful book Humans Are Underrated defines empathy as one’s understanding how others are feeling as well as one’s ability to flex one’s behavior accordingly. 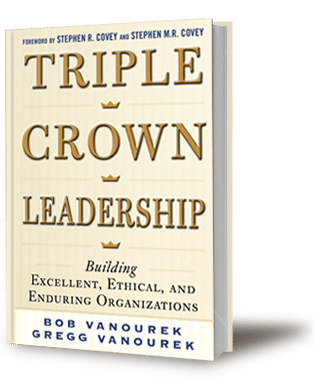 In Triple Crown Leadership, we separated behavior into two broad categories steel and velvet. Both head and heart are essential—and a powerful and rare combination. But even those two are not enough. There is still a missing X factor. The X factor is that ethereal, breakthrough factor that transforms everything. I discovered the X factor years ago when I read Robert Greenleaf’s essay, “The Servant as Leader.” It was a mind flip for me. The leader serves. The only ones who can bestow the mantle of leadership upon you are those who choose to follow you willingly, and they will only do so if you serve them. The X factor that will make all the difference in your success and ultimate happiness is service. This is revolutionary for leaders because so often, instead of focusing on serving others, we are caught up in our own ego. We are self-absorbed and sometimes arrogant. We stop listening to others. Primed with the perquisites of power and the allure of authority, we can develop an infallibility complex that virtually guarantees fallibility. People see through it. They might comply grudgingly, but they won’t put their heart and soul into someone else’s ego trip. And the world is too complex and fast-moving for anyone to succeed alone. In the end, they keys to success, happiness, fulfillment, and your best self include not just “head” (with IQ fueled by deliberate practice) and “heart” (with EQ leavened by character, integrity, and authenticity), but also—and especially—the X factor of service. 1. Develop your knowledge, skills, and capabilities through deliberate practice. 2. Live and lead with heart, including emotional intelligence, character, and authenticity. 3. Then fling yourself into the service of others. Your success, happiness, and fulfillment will shine through.